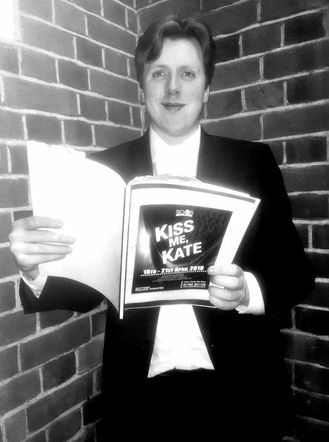 Southend Operatic & Dramatic Society has another hit on its hands with the well-loved, timeless musical Kiss Me Kate. The show tells the story of Fred Graham and Lilli Vanessi, two actors whose tempestuous love lives take centre stage as they perform in a new musical version of The Taming of the Shrew. It’s a play within a play, and allows the audience to become involved with behind the scenes shenanigans as well as the on stage production, when the feuding couple perform as Petruchio and Kate. The show contains the brilliant music and witty lyrics of Cole Porter and to my mind is one of his best musicals. This show contains such well- known numbers as Another Opening Another Show, Wunderbar, So in Love and many more. Kiss Me Kate is one of the most difficult of musicals to perform as well as having strong vocal ability, the performers have to be good enough to act two roles simultaneously. The players have to be able to keep their backstage personas as well as speaking Shakespeare’s dialogue convincingly, and this cast pulled it off. As the musical revolves around the feuding divorced couple, it has to be obvious that they are still in love with each other despite Fred's ego and Lilli's new fiancé. 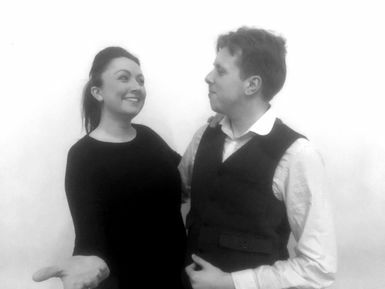 The two leads played by Louise Kempson and Joshua Hopwood were very strong vocally and were just as good with the high power songs as well as the quieter love songs. All the big show numbers were belted out and a more vulnerable side shown with the more romantic ones. However, I thought that there was a lack of chemistry between the two, and it never seemed that their love or lust really sparked for each other. Louise gave a hearty performance for I Hate Men and the character of Fred Graham/Petruchio was well played by Hopwood. However, the character of Graham has a lightweight flippancy, but Petruchio dominates the stage and it has to be a high testosterone performance, The character needs to strut, and swagger, around the stage with a big ego. I felt that Hopwood as Petruchio gave a slightly camp performance, but saying that he held the stage well. Mill-Mae Cage gave a sparky and top vocal performance as Lois/Bianca and her rendition of Always True to You in My Fashion was particularly well done, as was her duet with Robert Maynard for Why Can’t You Behave. Robert has a particularly powerful voice, which is unexpected from his slim physique. Jonny Buxton gave his usual high octane performance as the US General Harrison Howell, Lilli’s new boyfriend. As always the two gangsters with the Bronx accents, bring down the house. The audience loved Les Cannon and Paul Alton with their double act of hitmen dragged into the Shrew production to prevent Lilli leaving the show. Dressed as jesters they were very funny and the showstopper Brush up Your Shakespeare brought fun to the production, together with some ad libbed dialogue down in the audience. The second half of the show opened with a high octane Too Darn Hot with a high-energy performance by Ewan Dunlop. As Kim Tobin who was watching the show with me pointed out, it was ironic that on the hottest day of the year we were sitting in a theatre listening to that song. The ensemble pieces worked well, especially the tap dancing. However, I felt that the rake on the stage inhibits people from really letting rip as the dance numbers seemed to hold back a little. A musical stands or falls on the musical accompaniment and the orchestra conducted by Clare Penfold gave excellent support for all the numbers. The audience, which consisted of people of a certain age, loved the show. The fact that in the end Kate tells women they have to obey their husbands and place themselves under his foot, passed them by. No feminists in this generation. If you love Shakespeare, Cole Porter, good singing, high jinks, and fun, this is the show for you. It was very enjoyable. The gangsters were very funny. We haven’t seen the show before but we see everything that Southend Operatic do as they always put on a good performance. They work hard and they are only amateurs. The whole show was good. It was a good ensemble production as everyone took part. Mary’s son helps backstage so we have a connection. ​Performances continues until Saturday at the Palace Theatre Westcliff.